Australia-listed gaming operator Silver Heritage Group Ltd said on Monday it recorded a loss in terms of adjusted earnings before interest, taxation, depreciation and amortisation (EBITDA) for the first quarter of 2018. The company reported an adjusted EBITDA loss of US$1.9 million for the period, it said in a filing to the Australian Securities Exchange. 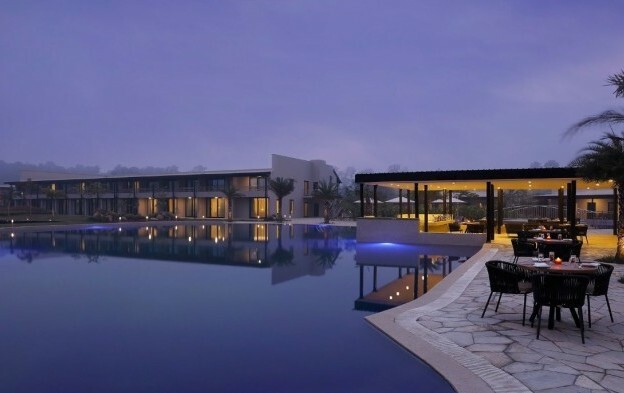 In Monday’s trading update – based on unaudited figures – the casino operator said it recorded total revenue of US$4.7 million in the first three months of the year, with a “growing” contribution from Tiger Palace Resort Bhairahawa (pictured), a new Nepal property near the country’s border with the Indian state of Uttar Pradesh. Tiger Palace, which only received its gaming licence in late December, held a casino “grand opening” in mid-March. A soft opening of the hotel facilities, offering 100 rooms, was held on September 20. “Resort revenues and casino revenues [at Tiger Palace] have both been growing steadily over the first quarter 2018 and that growth continues in April,” Silver Heritage said in Monday’s filing. Tiger Palace reported an adjusted property EBITDA loss of US$1.8 million for the three months to March 31. The firm said total table drop at Tiger Palace in the first quarter amounted to US$3.2 million, with a hold percentage of 23.9 percent. The property recorded gross gaming revenue (GGR) of US$911,000 during the reporting period. “To date the casino has registered over 7,500 (unique) members and has experienced total footfall of more than 22,000 casino patrons since opening its doors on December 28, 2017,” said the casino firm. According to Monday’s update, Tiger Palace recorded GGR of more than US$450,000 in the first 28 days of April, compared to slightly above US$400,000 in March. The boutique casino operator also runs the Millionaire’s Club and Casino in Kathmandu, Nepal’s capital, and the Phoenix International Club, near Hanoi, in Vietnam. Silver Heritage said it had a table hold percentage of 23.2 percent at the Phoenix International Club in the January to March period, compared to. 24.8 percent for full-year 2017. At Millionaire’s Club and Casino, the company experienced a table hold percentage of 10.4 percent in the first quarter this year, compared to 16.4 percent in the whole of 2017.